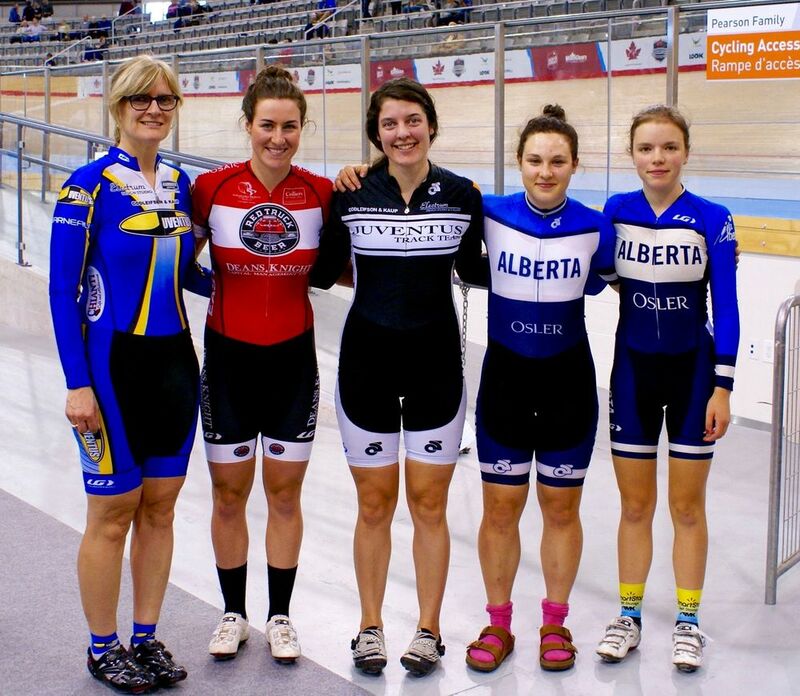 Juventus Masters, Elites and Juniors represent at Track Nationals! Juventus women competed at the 2015 Track National Championships in Milton, Ontario in Master, Elite and Junior categories. Gail and Meika are here in Juventus kit, Kinley represents Trek Red Truck trade team, and Anna and Devaney represent the Alberta Team. Juventus masters Ron Ellis and Dave Embury competed for Juventus in a variety of Master C events. Dave is not in this picture because he was at the luncheon inducting Juventus lifetime member Lori-Ann Muenzer into the Canadian Cycling Hall of Fame! Our two Junior Men at Canadian Nationals, Evan and Stefan, competed for Team Alberta. Our Junior Men have a few National Championships to brag about! Posted on October 13, 2015 by @Juventus Cycling .